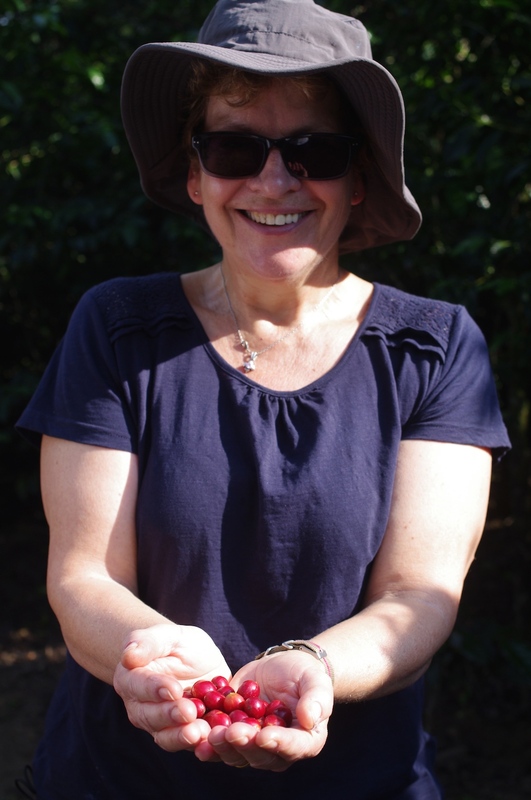 Timo harvesting ripe coffee fruit in San Miguel Escobar. It starts with dedicated farmers who prepare their land with pride and care. The farmers in San Miguel walk to their land (some taking over an hour) everyday. All land maintenance is done by hand, which is why you will always see a farmer with his machete. The farmers grow the coffee seeds in their homes and when they are seedlings they are transferred to individual bags, called pilones. After about 8 months they are ready to be transferred from the pilones to the land. Once planted, they are carefully tended to for 3 years before they produce fruit that is ready to be harvested. It takes about 5 years for a plant to fully mature and produce a full harvest. This in itself is a large investment - in time and inputs. Many farmers do not have the capital to begin or expand farming, so De la Gente offers micro-loans to assist farmers with start up costs such as land purchases. The harvest season varies between regions in Guatemala, but generally runs from December to April. All of the coffee is harvested by hand and farmers must only pick the ripest red coffee fruits, or “cherries,” from the plants. 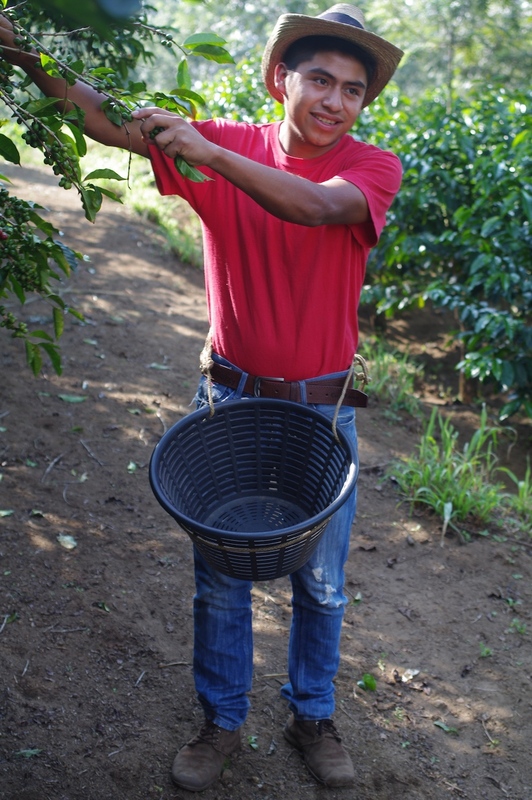 The cherries are collected in baskets known as canastas. The green berries are left on the plants until they ripen, meaning that the farmers must re-visit all of the plants until all cherries have ripened and have been picked. No cherries can be left on the plants at the end of a year. Harvest season brings long days for the farmers - as soon as the coffee is ripe, it has to be picked immediately and processed. De la Gente offers micro-loans to farmers then they wish to buy additional cherry fruit from neighbors in order to grow their own business if they don’t currently have enough land or their plants are not yet mature enough to produce a full harvest.